As an artist who used to advertise in pet shows, I became familiar with bird breeders and those who own a variety of parrots. Not being a bird owner myself, I enjoyed others' pets, and learned a thing or two about how to save money on supplies. Here are a few tips to lessen your bills for cages, toys and other important bird-related items. Each city in the U.S. and possibly worldwide, has bird fanciers clubs of different kinds. Some are more broad in scope like avian societies, bird clubs, or bird lovers associations. Others are more specific, like conure clubs, cockatoo fanciers, etc. Usually, you can find out where your local clubs are by contacting places found on the internet, local pet stores, or yellow pages. Call or write the contact number for each club and ask when their shows are, and if they are open to the public. The bigger the show, the better. Many bird clubs or societies have at least one big show, sometimes two, each year. There are even bigger shows such as yearly gatherings of multiple bird clubs at shows usually held in major cities, usually called national shows, congresses or other names. If these shows are open to the public, they are where you will usually see a more diverse variety of exhibitors. The best day to go to a show is Sunday, normally the last day. This is when there may be auctions (where supplies tend to be drastically low in price) and vendors begin to mark down their wares as the day goes on, to prevent having to pack it all when they leave. At the very end, prices are really marked down at some booths. With seed, toys and cages being pretty expensive normally, it pays to wait and get those discounts. Going to a basic, local bird show, you will encounter bird breeders selling hand-fed babies and other parrots or hookbills of different kinds. Also, you will find bird supply vendors, usually selling cages, toys, feed, and more. Also, there is usually an artist or two around, selling t-shirts or other handmade items with birds as themes. I used to see bird magazine vendors at different shows, as well, selling their publications at tremendous discounts. Birds are on display, it's fun to see the showcase of beautiful parrots, usually strutting their stuff for their audience (especially cockatoos, lovely birds who are definitely attention-lovers, in my opinion). Even for those of us without birds as pets, pet shows are entertaining, and worth going to. It's fun for the whole family, there are refreshment stands there, and bird breeders or owners enjoy talking to others about their latest bird babies. Who knows, you may even decide to take the plunge and get your own parrot. If I didn't have cats, I'd have a few myself. Take a chance, get involved and spend a day at an avian society event. You won't be sorry, and may even learn a thing or two about parrots and other birds. 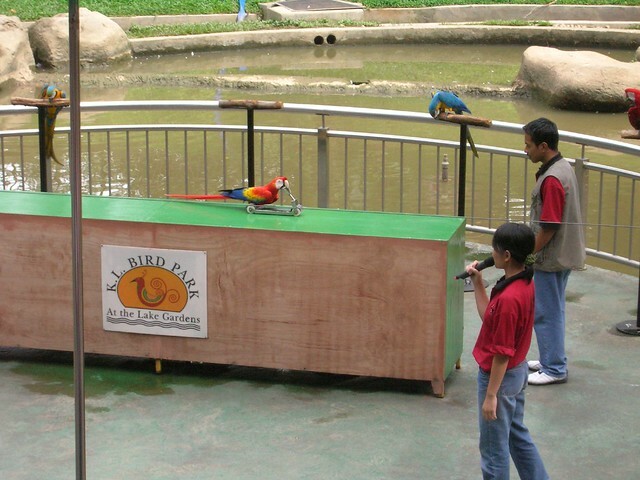 A great way to show the family a good time, and get to know some colorful and entertaining birds. Carolyn McFann is a scientific and nature illustrator, who owns Two Purring Cats Design Studio, which can be seen at: http://www.zazzle.com/twopurringcats Educated at the Rochester Institute of Technology in New York, Carolyn is a seasoned, well-traveled artist and photographer. She has lived and worked in Cancun, Mexico for two years, among other interesting professional assignments in other countries. Clients include nature parks, museums, scientists, corporations and private owners. Her focus is on realistic, natural artwork and illustration through her agent and her website. She has been the subject of tv interviews, articles for newspapers and other popular media venues.